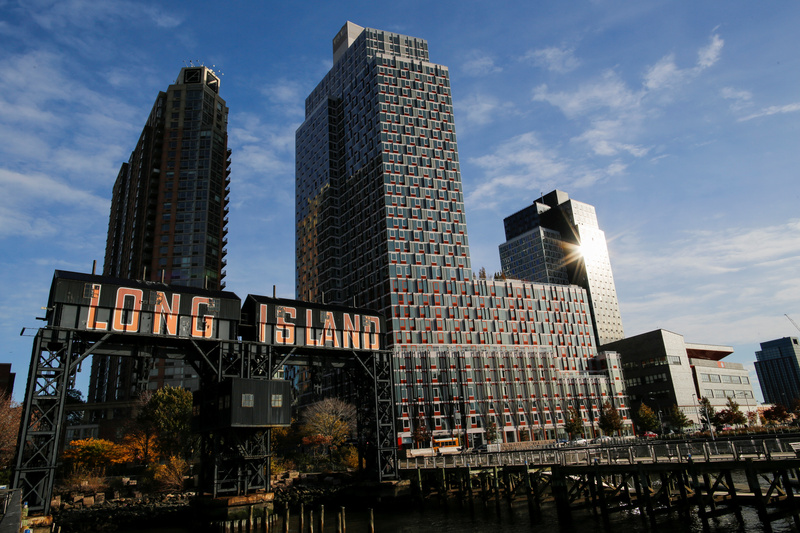 General view of Gantry Plaza State Park, in Long Island City, New York, U.S. November 7, 2018. Amazon executives are exploring alternatives to New York as a location for its second headquarters, according to Reuters and the Washington Post. The e-commerce company has encountered local opposition to its plans to set up a new base in the city. Amazon announced in November it would split its second headquarters between New York and Arlington, Virginia. Virginia’s government in January approved legislation that allows for up to $750 million in incentives for Amazon. New York State Senator Michael Gianaris, who represents the neighborhood where Amazon plans to house its headquarters, was nominated in February to the Public Authorities Control Board, a committee that has veto power over the deal, according to the New York Times. His confirmation requires approval by Governor Andrew Cuomo. Google announced in December that it would invest $1 billion to build a new campus in Manhattan. The search-engine firm, part of Alphabet, is seeking enough space to be able to double its workforce of more than 7,000 in New York over the next 10 years.